Featuring a black georgette straight cut kurti in leheriya print. Bodice is embellished in zari embroidery and gotta patti work. 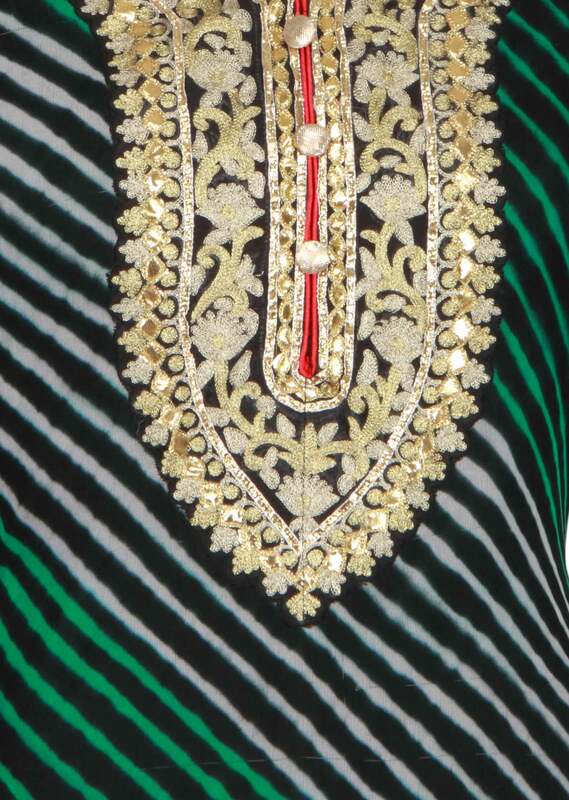 Neckline has an attached embellished collar with front opening. Placket details in gold button. Piping is in red all over.